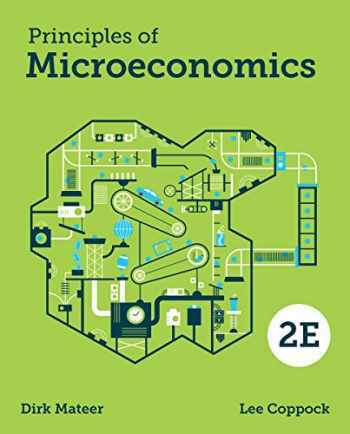 Acknowledged author Lee Coppock wrote Principles of Microeconomics (Second Edition) comprising 688 pages back in 2017. Textbook and etextbook are published under ISBN 0393614085 and 9780393614084. Since then Principles of Microeconomics (Second Edition) textbook received total rating of 3.5 stars and was available to sell back to BooksRun online for the top buyback price of $44.28 or rent at the marketplace. Mateer and Coppock's approach teaches economic decision-making with applications that students will remember. Mateer and Coppock, leading researchers in Economics teaching who have consistently taught Principles over a combined forty-plus years, brought their innovative teaching experiences to this blockbuster text. They put economics into context by making it relatable through carefully crafted real-world examples, a problem-solving pedagogy that emphasizes economic decision-making, and a voice that speaks directly to students.